Sprung metal 'dog' clip from the '58 pattern webbing. Multiple uses including; helmet attachment on webbing and 'idiot' clips for the SA80 rifle sling. 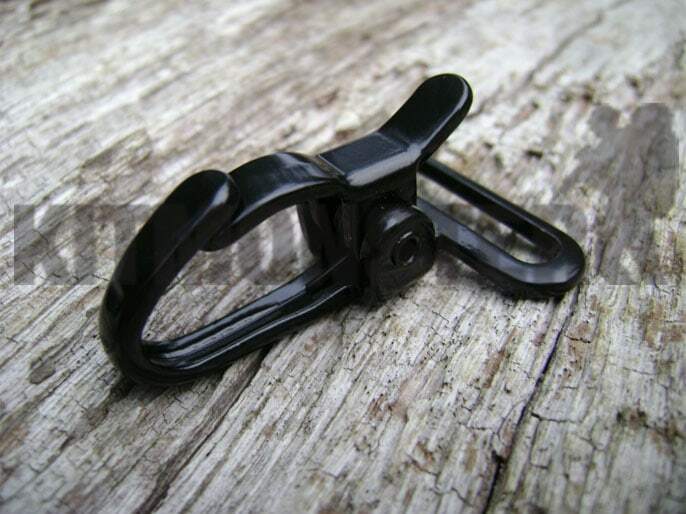 Flat loop at base will fit straps up to 25mm wide, the same width as the narrow adjustment straps on PLCE issue webbing (as found on the yoke, utility strap and rifle sling).